Shannon Hassan brings a depth of business and editorial experience to her role as agent, having worked in publishing and law for more than a decade. 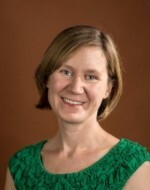 She represents authors of literary and commercial fiction, young adult and middle grade fiction, and select nonfiction. With respect to fiction, she is drawn to fresh voices, compelling characters, and crisp prose, and enjoys both contemporary and historical settings. For nonfiction, she is interested in exceptional narratives from authors with strong platforms. Based in Boulder, Colorado, she is also eager to hear from authors with a unique perspective on the West. A sample of books Shannon has represented: THE MASK COLLECTORS, a literary thriller by Iowa Short Fiction Award-winner Ruvanee Vilhauer (Little A), INSIGNIFICANT EVENTS IN THE LIFE OF A CACTUS, an award-winning middle grade series by Dusti Bowling (Sterling), DIE YOUNG WITH ME, an ALA award-winning memoir by Rob Rufus (Simon & Schuster), THE MOON IN THE PALACE, a RITA-award winning historical series by Weina Dai Randel (Sourcebooks), WHOLLY UNRAVELED, a memoir by Keele Burgin (Little A), THE WORLD’S GREATEST ADVENTURE MACHINE, a middle grade fantasy by Frank L. Cole (Penguin Random House), GIRLS ON THE LINE, a multicultural young adult novel by Jennie Liu (Lerner), THE SILENCE BETWEEN US, a young adult contemporary by Alison Gervais (HarperCollins), and FRÄULEIN M., a historical novel by Caroline Woods (Simon & Schuster).